Ola Kaellenius: "Is the good old dealership dead? No, on the contrary -- that experience in the luxury world still counts." 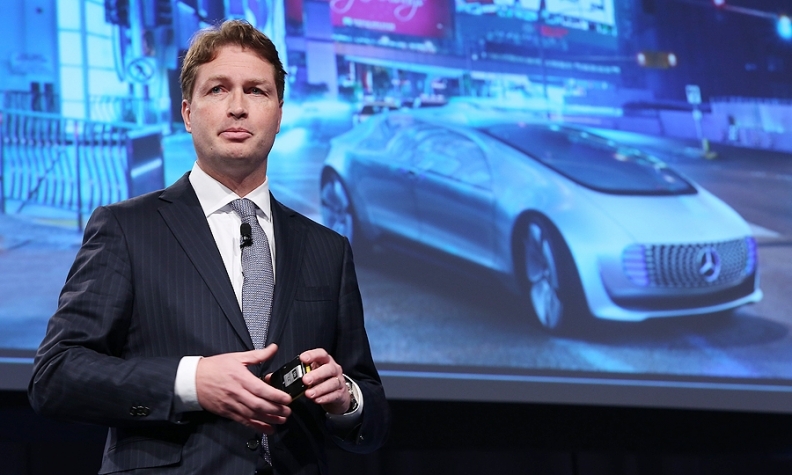 DETROIT -- Mercedes-Benz is on a mission to expand its footprint in the digital world, improve its customer service and maintain its ionic status, Ola Kaellenius, the executive charged with the brand’s marketing and sales, said at the 2015 Automotive News World Congress. Mercedes must continue to deliver the dream, said Kaellenius. As Mercedes moves to improve its customer experience, it is introducing pop-up stores and brand centers and new ways to directly communicate with its customers the way dealers traditionally have, said Kaellenius, board member for sales and marketing. But Kaellenius sees changes in the dealership such as the Product Concierge it is introducing: a specialist who provides customers with information and doesn’t sell cars. The concierge program is currently being rolled out in the U.S.
Mercedes is also introducing the digital service drive. All customer information is digitally stored. A customer is greeted with an iPad and within 45 minutes service and billing is completed making the experience “as seamless as you can get,” Kaellenius said. The service is being rolled out in the U.S. and other parts of the world, he said. Mercedes is also packaging all of its services under one banner and one portal -- in a set-up akin to Apple’s iTunes -- and calling it Mercedes me. The bundle includes financial services, car sharing, remote accessibility to a car that can, for instance, turn on the heat, connectivity and the ability to monitor “the health of your car and prompt you to come for service,” Kaellenius said. “There will be a one-to-one relationship between the manufacturer and the dealer,” a role that the dealer has always had, he said. Mercedes me won’t circumvent dealers, he said. ‘We will try to help the dealer in a more targeted way,” with the hope that it generates more sales and service, Kaellenius said. In the United States, where Mercedes already has the mbrace program with some of those services, the additional content will be launched late this year and the name won’t be changed, Kaellenius said. Mercedes me stores will be opened in eight cities. The first is already operating in Hamburg. The stores are like galleries with food and entertainment rather than a showroom, he said. Products can be shown digitally “and you can also do a soft sell,” Kaellenius said. None of initial eight will be in the U.S. but, he said, Mercedes plans to be in 40 cities by 2020 -- and New York City is a possibility.